The truth is that dogs can eat human foods, but should avoid certain types. It’s also true that too much of a good thing can be bad for your dog. As with anything, there has to be a healthy balance. Can puppies eat human food? Puppies are notorious for not knowing boundaries. If you are having something to eat, they’re going to do their best to get some of it. But if you give your puppy a bite of food every time that you’re eating, then you’re probably giving him or her too much. You’re also encouraging bad habits which are only going to get worse as your puppy grows older. Best to put some boundaries in place from the beginning. Can dogs eat human food and stay healthy? Have you seen this Organic Dog Food? You simply add water to make a porridge consistency and it is a complete dog food. Your dog can develop an appetite for human food and turn his or her nose up at their own food. Adult dogs have usually mastered that pitiful look they give you whenever you’re eating something and it’s easy to toss them a bite or several bites when they put on that long face. You will train your dog to eat with you every time you give him a bite of what you’re having. Dogs learn very quickly that humans have tasty foods. And because you’re eating it they are particularly keen to get some and be part of the fun. When they hear you moving around in the kitchen, opening a cabinet or the refrigerator, they’re going to come and check it out to see what you’re having. If your adult dog is overweight, that could be a sign that you’re giving him too much human food – especially if you know that your dog’s eating all of his dog food as well. You are not helping your dog stay healthy if you allow them to eat too much human food. One clear sign that you’re giving your dog too much human food is if your dog’s leaving food in the dish, but still running to you when they know that you’re eating something. ☑ Does your dog need to go on a diet? For healthy low calorie dog treat ideas click here. 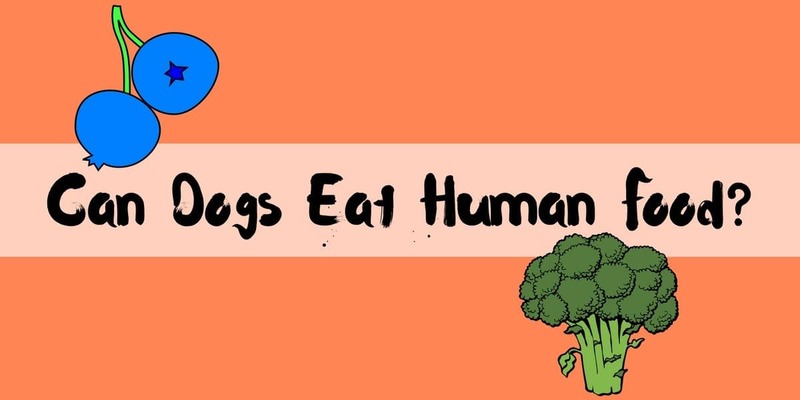 Can dogs eat human food if it is healthy? It’s okay to give your dog certain bits of human food such as lean meats or vegetables. You’ll find those in many of the top quality dog foods. And in fact, you can actually replace the dog food you use by making high quality food for your pet by using fresh meats and vegetables. 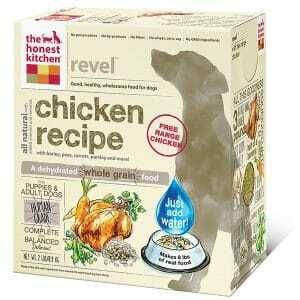 There are plenty of recipes for dog food online. But giving your dog junk food and other items is not only a sure way for him to add on extra pounds, but it can also make him very ill. Junk food and processed foods from packets contain many artificial ingredients. Both natural and artificial ingredients could make your dog sick. It is especially risky if your dog hasn’t had that particular type of food before. You don’t know how they’re going to react and whether they may have a food allergy reaction to it. Can dogs eat human food if they avoid certain foods? The human food that you give him shouldn’t have a high salt content like potato chips because salt isn’t good for dogs. You should also refrain from giving him chocolate or onions or certain types of nuts. Just like humans, dogs can have allergies to some foods. This will depend on your dog and should be something you look out for. If you want to read more click here for Symptoms of Food Allergies in Dogs. Can dogs eat human food if it contains garlic? No, you should avoid giving garlic coated human food items to dogs because it’s toxic to them. Small amounts of garlic are meant to be fine but you really need to check with your vet about controversial foods like garlic because you don’t want to risk it. A good way to tell if you’re giving your dog too much human food or not is to pay attention to how much food he’s supposed to be eating. Then track the human food that you’ve been feeding him. Giving him some food won’t hurt him and certain human foods are good for dogs but, overdoing how much human food your dog is eating, can make your dog miss out on some of the nutritional value they need from their own food. Just keep a log of how much human food you’re giving your dog and balance that with how much food they’re supposed to have for the entire day. So, when you ask Can Dogs Eat Human Food…just remember, as long as the food is healthy and it’s given in moderation, and your dog isn’t overweight, then it’s fine and you can both enjoy it. ☑ Worried about your dog choking from eating too fast? See the best Slow Feeder Dog Bowls here. Different ones to choose from.